Welcome to Stampin Friends All About Animals Blog Hop! We have a line up of super talented designers and I'm sure you will be wowed! If you just arrived from Kristal's Blog thank you for continuing with the hop! 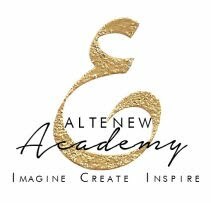 If you missed her blog click the Previous button to check out her amazing creations. We are excited to have three Awesome Guest Hoppers this month that you should definitely check out! Ready to win 15 prizes?!! Just enter the giveaway by commenting #SFAprilhop! If you comment and include #SFAprilHop on each blog it will give you a chance to win a crafty gift mailed to you from each blogger. Details below! I absolutely adore Wplus9's Party Animal set and when I heard we were doing animals I had to pull it out! I started my card with a piece of Neenah Solar White 110 CS and stamped my images using Brutus Monroe detail ink ( my new favorite for everything). I colored my giraffes and balloon with Copics .I added Glossy Accents to the balloon and put some extra dots that I added purple confetti glitter to. 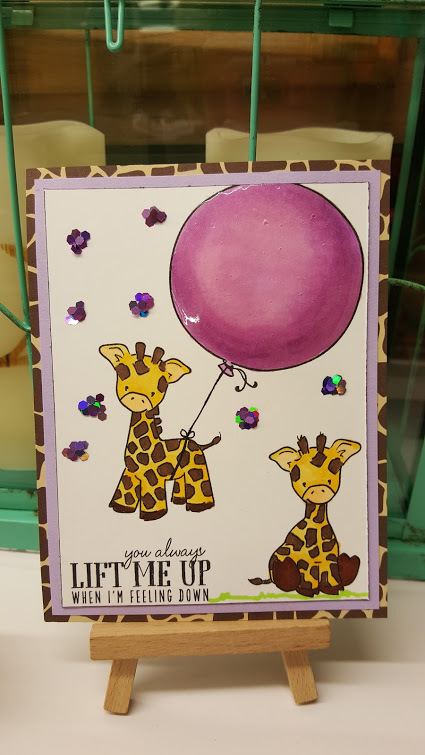 To finish my card I mounted it on a piece of MFT periwinkle and then the giraffe print from the MFT Wild Prints paper pack. For my project I started by die cutting the MFT Picnic Basket out of MFT Wild Prints paper pack and the MFT Trapezoid Treat Box out of Milk Chocolate. I used Score tape to assemble my basket. The handles are attatched with a square brad. Then I used one of the giraffes I colored and cut out to decorate the front. Oh and let's not forget the lavender ribbon around his neck. I'm so glad you stopped by and hope you enjoyed my creations. I'd love to hear from you in the comments section and feel free to follow me and checkout my other post. Up next is Leanne just click the Next button to continue on the hop and see what awesome creations she has in store for you! This is not goodbye but see ya later! Great coloring, especially on the balloon. #SFAprHop The giraffes are super cute! Love the card and the treat box! Thanks for sharing! What an adorable coordinating card and gift box! The Giraffe with the Balloon is so cute! 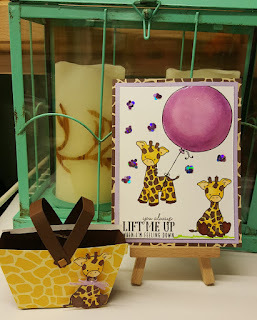 I love the adorable giraffe theme!!! The giraffe picnic basket is so cute! Nicely done! #SFAprHop the basket is adorable! Thanks for sharing! #SFAPRHOP So much creativity in these two items. Thanks for sharing. Love the card and the treat box! Oh my goodness! Love the giraffes! AWESOME! My daughter loves giraffes. These both would be perfect for her! OMGeee! 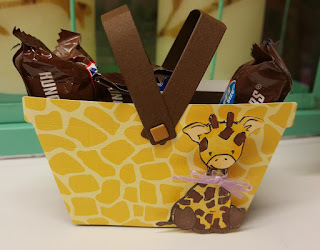 your giraffee's are just too cute, and i'm definitely going to have to case that basket! #SFAprHop love the giraffe basket! Love your basket! What a great idea! These giraffes are so CUTE!